Follow our 9-week series to learn how to get the best mortgage for your specific financial situation and goals. We’ll take you through each and every step so you’ll know what to do before, during and after getting a mortgage. This week you’ll learn why your credit score is one of the key factors that lenders look at to determine which mortgage products you’ll qualify for along with the interest rate they’ll offer you. Having a low credit score will limit your choices. But, there are options out there for some of you with bad credit, and ways you can work on increasing your score. If you’re even thinking about buying a home in the coming year, now is the time to start giving your credit score the attention it deserves. It can be considered your “one ticket” to homeownership. 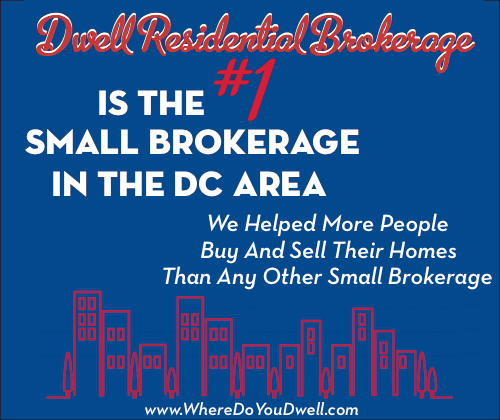 You want to clearly understand its importance in getting a good mortgage. Lenders use your FICO credit score to determine how “risky” you are based on your past financial behavior. They want to make sure you can pay back your loan in full and on time. Your score is based on information from your credit report, which is kind of like a “report card” on your financial behavior when dealing with credit. It can range from a high of 850 to a low of 300. Your past payment history and total debt (how much you owe) weigh heavier in its calculation. Your score also takes into consideration how long you’ve had credit, any new credit, and the type of credit. Remember, a credit score has nothing to do with your income or investments. It’s based on how you’ve handled your credit card payments and also other loan payments, like your car or student loan. It also takes into account if you’ve declared bankruptcy, have a tax lien, or you’re being sought by a collection agency. We’re not telling you to go overboard with spending, but you do need to build credit. That’s why having and using a credit card responsibly is a must if you want to have a good credit score. Some first-time buyers are proud that they’ve never opened or needed a credit card, or don’t have a car or student loan. That’s good when you’re fiscally responsible and not in debt, but your credit score is going to be low. Why? You’re not creating a history of how you handle credit. How will a lender know if you’ll pay back your loan? For more details, check out our article about building credit – Want a Home? Then Get a Credit Card. 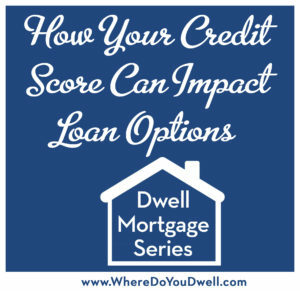 Let’s look at credit score ranges and what impact they have on your loan options today. Remember, the higher your credit score the more options you have. 740 and above. You’ll have many options in this range – conventional loans, less down payment, lower interest rates – because you’re deemed credit worthy. Lenders want to work with you and will offer the best mortgage products and terms, such as the lowest rates. That means you’ll save more money over the course of your loan because of its low rate. 720-739. You’re still considered a low risk and lenders want to work with you. In fact, many lenders relaxed their requirements over the last few years, with the average “approved” score dipping to this range. 680 – 719. This score is stilled considered good, but your interest rate will be higher and you’ll be offered fewer loan options. With a higher rate, you’ll be paying thousands of dollars more over the life of the loan. 620-660. This is considered a fair score and lenders may work with you but may require more documentation to determine if they should take a risk and give you a loan. The process may take longer and require more patience on your part. Again, you’ll get a higher interest rate and less choice. You could apply for a FHA loan or VA loan, which have lower rates but also certain requirements. For those of you with a lower score than you’d like, don’t give up! Shop around and meet with several lenders. In today’s market, they are more willing to work with lower scores. Many lenders will spend the time to fully understand why your credit score is low and take a more in-depth look into your entire financial background. Even though your credit score is weighed heavily when applying for a mortgage, it is only one piece of the qualification process. Other factors that lenders look at include your savings, total assets, current income, amount of debt, and any history with that particular lender. Some lenders will even help you “rescore” your credit and help you with what exactly to do (and not do) to increase your score quickly. Sometimes it can be as simple as paying off a small debt. Prove a year of on-time rent payments to show you’ve been a responsible renter and can handle a mortgage payment. Explain it wasn’t irresponsible past actions but rather specific situations that caused your score to dip — such as losing a job in the recession, large medical bills, or student loans. Have a good current debt-to-income ratio. Make a bigger down payment. Have at least 6 months of cash reserves in the bank. Get a co-signer who has a good or excellent credit score so that the bank knows it can get paid. Show you have other assets, such as stocks or bonds. Keep in mind, that even if you get a loan with a higher rate than you would like, you can always refinance in two years once your credit has improved. You can then get a better rate. But remember to always weigh the cost of refinancing with the benefit of a new rate over the length of the loan. Make payments on time … all the time. No matter if it’s a few dollars or thousands, a late payment will hurt your score. This makes up 35% of your FICO score. Ask for a higher credit limit on your cards but maintain a low balance. The credit bureaus want to see that you have available credit you aren’t using. Keep your debt-to-credit ratio at 30% or better. This makes up 30% of your score. Never make major purchases during the time of your loan process. It looks like you are racking up new debt. Think twice before canceling a credit card you’ve had a long time. It shows you’ve built a positive account record over the years. Negotiate with creditors to make a “good-will adjustment” if you’ve been a good customer in the past. If you’ve just had one or two late payments because of unemployment or other circumstances, they may work with you. Look out for errors or anything suspicious on your credit report and dispute this information. Seems like many companies are getting hacked lately, so monitor your report regularly since small discrepancies can lower your score! Pay off “trivial fines” before they go to a collection agency. So make sure your parking tickets and even library fines are paid!